We were in the middle of Dublin. I Lar Na Cathrach. Parnell Square was like a skating rink. Buses were playing dodgems with each other outside the office. Traffic was gridlocked. Blizzards swept through Dorset Street. Lightning illuminated the whiteness of it all. The journey north was nerve wrecking. Your man drives too fast. Even by his own standards. The roads were almost deserted. But your man was like a demented sledge rider. Years ago when grit was a film starring John Wayne and absent from our roads I drove my mother home from Dublin during heavy snow. 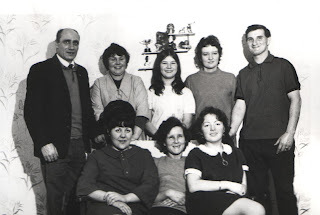 Those were the days before motorways and eventually after many adventures we had to stay over in Newry where we enjoyed the hospitality of the Curran household. The next morning, a Sunday, we ventured forth. Just the two of us. It was great. There was no other vehicles on the road. There weren’t even any car tracks. Just virgin snow. Deep and crisp and even. Me and my Ma enjoyed it immensely. We skidded and slid and yahooed and hollered all the way up the MI. I have happy memories of that epic expedition. With your man it is different. Especially when he passes big trucks. Or when they pass us. Scarey. There were two family events in Belfast this last week. On top of all the political busyness. Well sort of family events. My youngest brother Dominic launched a book about his prison experiences. And a very readable book – Faoi Glas – it is too. He let me read the manuscript. I would recommend it. Dominic writes well. 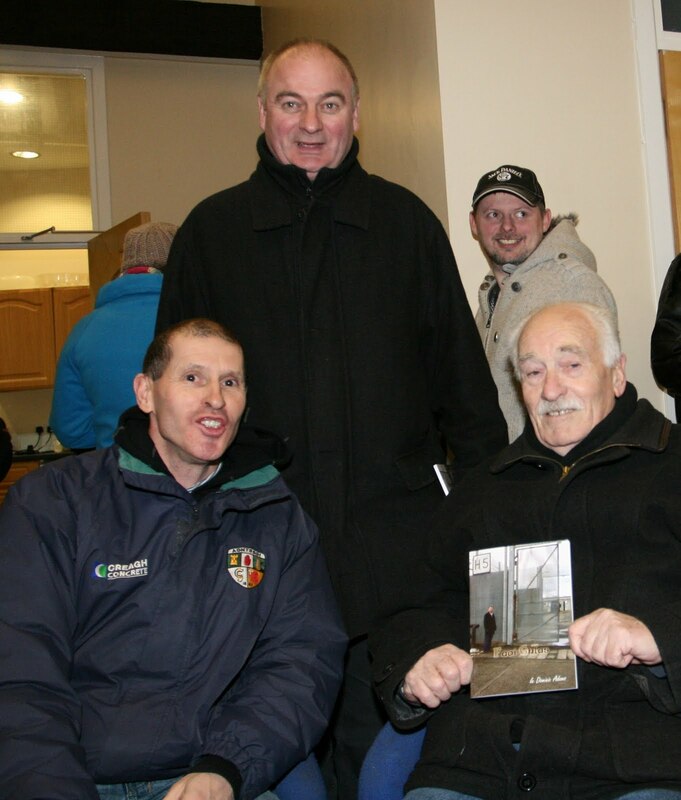 The launch is very well attended and big Bob and Dominic and Niamh and Dominic Óg spoke very well. Well done to them all. And to Irene. Nova Print have done a very nice job on the production and Jim Gibney has written a fine reamhrá. 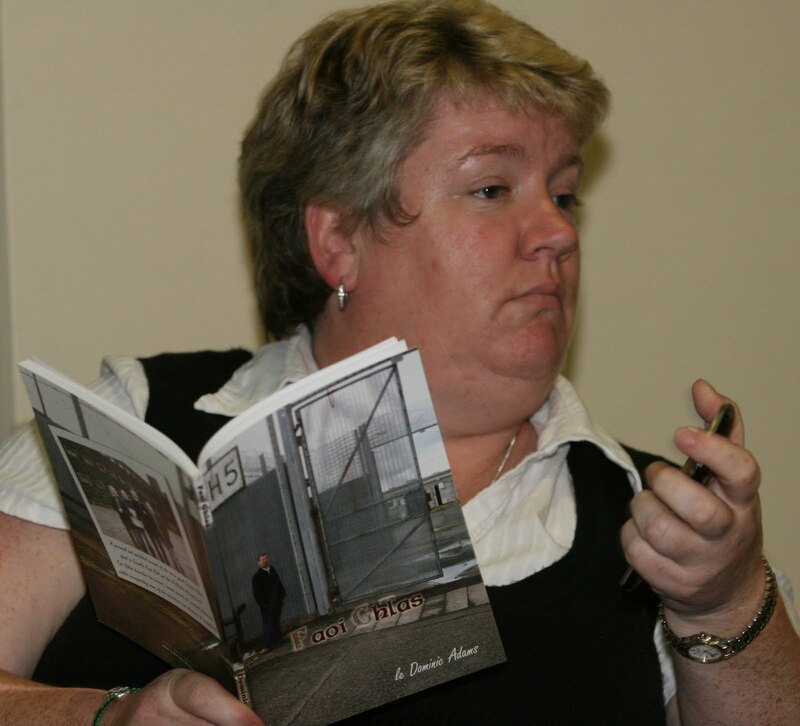 Dominic has included a few photos including one of our mother protesting at the strip searching of women in Armagh Women’s Prison. She looks a little wan, poor woman. The other event was for Anne Marie’s 60th birthday. ‘ Anne Marie. Sixty!’ your man exclaimed. He is doing a lot of exclaiming this weather. ‘Sixty is the new thirty’ I explained to him. I also told him it was a surprise party and that Anne Marie didn’t know about it. Her clann had sneakybeaked it behind her back. When your man was fifty he organised his own surprise party just in case anyone else neglected to do so. Then he acted all astonished and pleased when we all turned up. So he found it hard to accept that Anne Marie was in the dark. And she was. Totally flabbergasted. She burst into tears when she arrived at the restaurant where a gang of us had gathered in her honour. Anne Marie is great. So was the craic that night. All the old Whiterock, Westrock bungalows and Murph crowd, mostly women had had great fun. Old camogie photos provided by Colette, of the old Seán Treacy’s club from the Whiterock made Anne Marie cry again. And a special birthday cake. Anne Marie had made the mistake of telling someone that she would like new teeth for a birthday present. Hence the cake. That made her cry another wee bit. Between crying and laughing her mascara was a mess. So was your mans. Outside on the Falls Road the snow continued. ‘Hohoho’ I chortled. 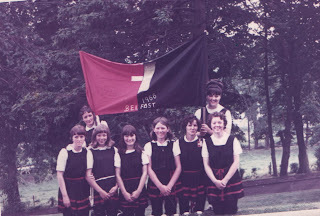 ‘Lá breithe shone duit Anne Marie’. And all that before Dermot Ahern left the contest in Louth and the Red C poll put Sinn Féin ahead of Fianna Fail in the polls. And the Anti-Government Rally was cancelled in Dublin. ‘Ulster says Snow,’ Your man exclaimed as I tried to explain to him that this was in no way similar to Eoin MacNeill's order before Easter week 1916. A week is indeed a long time. With the weather playing games , the hard ones to play, it a good time to enjoy your family and good friends. To be well and safe is important, to the life of political Ireland for all Republicans during this winder. Place a large tub, preferably wooden, on the floor, and you can go on from there. Dookin for Apples in Guinness not water is more fun and who cares if you get a apple or not,just don't keep your head under to long. A good time to relearn the family ,during this winter time.